From the bottom of your drawer to your desk, you’ll begin to wonder what to do with your overwhelming amount of leftover beads. But there’s no need to worry as we have some ideas for you. Fancy Room Trinkets. What better way to add sparkle to the items in your bedroom than to decorate them with leftover beads. Using seed beads, pearls, and cabochons, you can spice up the look of your mirrors, photo frames, and jewelry boxes. You can also form a beaded mosaic canvas or an art collage and place them on your study table for a bit of inspiration. Furthermore, use your leftover beads and stitch them up to create a beaded fringe for your lampshade. Creative Hair Accessories. Want to provide your nieces some artsy gifts? A beaded hair accessory will definitely make for a unique personalized gift. With flat pad hair pins and some cabochons, you can create a stunning hair accessory. You will be so inspired to create these little goodies that your niece will never leave the house with a plain, untied hair ever again. Decorative Curtains. If you feel like your curtains have been looking a little drab lately, bring them back to life by adding some leftover beads. Embellish your windows and create curtain tie backs. Also, if you need another set of curtains to adorn your doorways, make stunning long beaded curtains using a variety of beads. Tableware Accessories. Planning to host a special dinner? Add a touch of quirk to your table and make some magic with your leftover beads! With strands of wire and some colorful bead pieces, you can create beaded napkin rings. If you want to make random occasions even more special, add some festive charms on your wine glasses using your beads. Decorative Items in the Garden. If you happen to have a garden, you can decorate your favorite pots with beads and have a nice beaded flower pot. 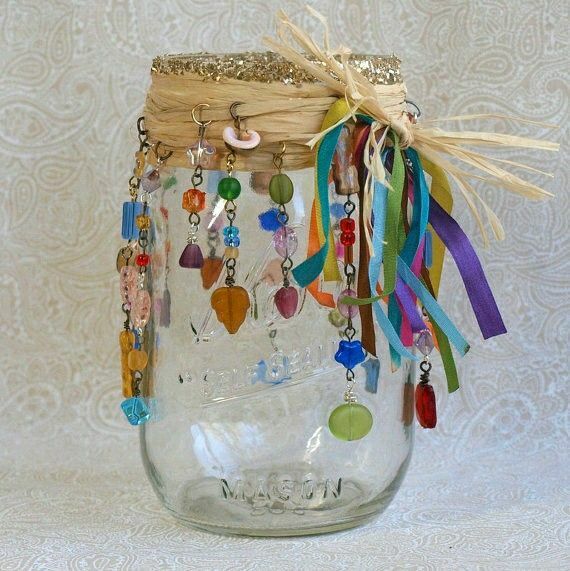 You can also use semi-transparent acrylic beads and transform them into suncatchers and wind chimes. Bead Repair Kit. When you’re done with a beading project, always save a small amount of beads and keep them in a container. Once you’ve finished a project and some parts of your beadwork break at any point, the extra beads will save the day. When one thinks of beads, they are mostly used to create handmade jewelry. However, with leftover beads, you can always stretch your creativity and make something wonderful with them. You never know when you can come up with an artistic piece and one that’s out of the ordinary!